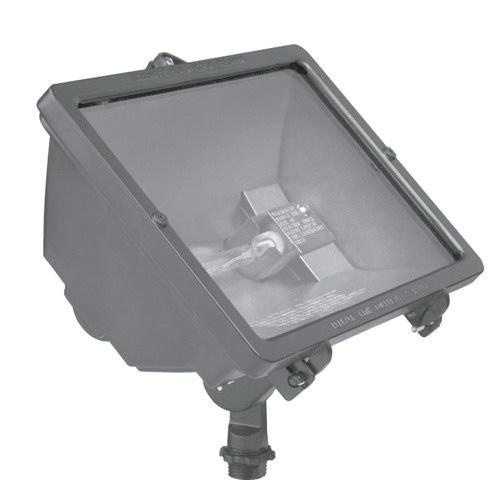 Hubbell Lighting Q Series Quartz flood light in white color, has die-cast aluminum construction. Flood light operates at voltage rating of 120-Volts and power rating of 500-Watts. Tempered glass lens protects lamp. This 1/2-Inch cast swivel knuckle fits standard boxes and covers. It measures 8-13/16-Inch x 3-5/8-Inch x 7-23/32-Inch. Flood light UL and cULus listed.